The Schumacher Center for a New Economics employs the term “local currencies” to refer to place-based monetary tools for building sustainable local economies. Other terms that have arisen include “complementary currencies,” “community currencies,” and sometimes “alternative currencies.” These local currencies take many forms. In the 1800’s nearly all commercial banks in the United States issued their own individual currencies at the point of making “productive” loans to businesses. Typically a productive loan is made for purchase of equipment (machinery, tools, supplies) that will result in an increased availability or goods in the economy. In this way local banks determined the amount and kind of credit needed to stimulate business development in each particular region. In 1913 with the creation or the Federal Reserve Act, local bank money was replaced by the federal dollar issued by a coalition or private banks that make up the Federal Reserve banking system. The International Independence Institute, under the leadership of Ralph Borsodi and Schumacher Center founding President, Robert Swann, issued a “Constant” in Exeter, New Hampshire in 1972 in cooperation with an Exeter bank. The Constant circulated for a year in Exeter stores as a demonstration that local bank notes, working with the not-for-profit sector, remain a contemporary option for local exchange. Read Ralph Borsodi’s “Inflation and The Coming Keynesian Catastrophe: The Story of the Exeter Experiments With Constants” to learn more about the “Constant”. 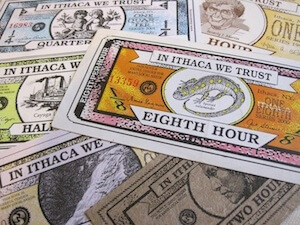 In 1991, Paul Glover organized a local currency for his hometown of Ithaca, New York, that used paper notes for trade of local goods and services. The notes were denominated in hours of labor (equivalent to the average hourly wage for Ithaca or $10). To begin circulation, Ithaca Hours were issued to owners or small businesses willing to accept the notes in trade for goods and services. Paul’s concept was that Hours would be backed by the future productivity of those to whom they were issued and so Hours would maintain a strong value independent of the fluctuation in federal dollars. Over the next decade, Hours programs spread in over 50 communities throughout the United States and Canada engaging citizens in the discussion or creating their own regional monetary systems. Of these start-ups only a few are still running. Ithaca Hours continues to grow, having developed several new initiatives including a local health insurance program and exceptional collaboration with Alternatives Credit Union that otters an optional Hours account. One factor in the attrition of Hours programs is that community groups failed to anticipate the start-up time and costs involved in promoting and sustaining a new currency issue. Following a long illness during which the services or others were critical to his recovery, lawyer Edgar Cahn devised a program called Time Banking. 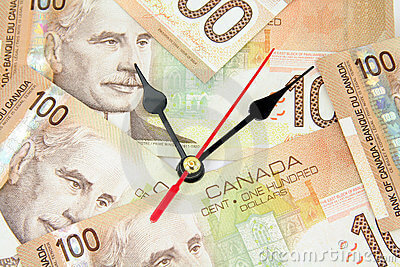 Time Dollars are used to record the good deeds for neighbors for each other. Old, young, handicapped, and marginalized, all have some service to contribute to their community and so can earn and bank Time Dollars for occasions when they are in need. In order for Time Dollar Institutes to maintain tax-exempt status as charities. Time Dollar transactions are generally limited to what would be called “the gift economy,” excluding commercial economic exchanges. Nevertheless, Time Dollars have shown to be an extraordinary tool for weaving values such as reciprocity, trust, cooperation, and what Edgar calls ”co-production” in a community. Numerous Time Dollar Networks are active throughout the US and the UK. Michael Linton founded the first LETS program in the early 1980s on Vancouver Island in Canada. LETS programs were created as a simple debit and credit system, denominated in the national currency. Consumers wishing to purchase goods or services offered through the LETS program would simply phone in a transaction to a central coordinator and their LETS account would be debited and the seller’s account credited. Producers would then spend their credits with other members in the system. The system was essentially self-regulated with members issuing their own line of credit at the point of making a purchase. 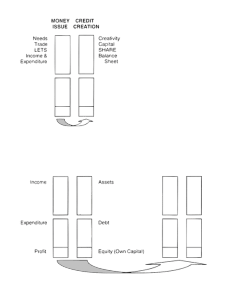 LETS programs are by far the most popular local currency systems throughout the world, spawning various adaptations. LETS development has been slow in the US, however. IRS law recognizes LETS programs as barter systems and as such requires system managers to report the total value of transactions for each individual to the Internal Revenue Service. This kind of management has proven costly and burdensome for start up systems, discouraging broad replication in this country up until this point. 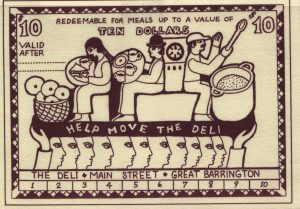 In 1989, alter being denied a bank loan, the owner of The Deli in Great Barrington, Massachusetts, issued “Deli Dollars” as a way to finance the move from one location to another. Customers bought Deli Dollars for $8 to he redeemed for $10 worth of soup and sandwiches at a later date. It was not the first time scrip had been used as a self-financing tool for a small business, but Deli Dollars caught the attention of international media including CNN, NBC, CBS, and Tokyo TV, giving new energy to the local currency movement. Other small businesses in Great Barrington issued their own notes to eager customers, demonstrating that citizens working together can create independent, low-cost methods or making micro-credit loans that double as a local currency. To learn more, read Susan Witt’s essay Democratizing Monetary Issue: Vision and Implementation in the Berkshire Region of the U.S. 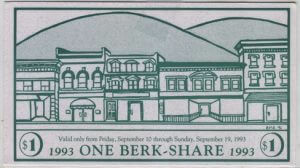 In 1991 in Great Barrington seventy merchants worked with the Chandler of Commerce to issue Berk-Shares. During a six-week period, customers collected one Berk-Share for every $10 spent at one of the stores. Then during a designated three-day redemption period, Berk-Shares could he spent as cash for store items, creating a spirit of festivity on Main Street. There are many variations on this simple approach in which multiple businesses reward their regular customers through discount notes. In some areas such as Toronto, Canada, and the Salt Spring Islands off of Vancouver, consumers initiate the exchange through conversion of federal notes to a local currency traded exclusively at regional stores. For centuries fiscal conservatives have advocated tor a currency hacked by something of perceived value such as gold and silver as a way to discourage the over-issue that leads to inflation. 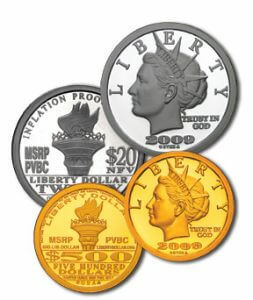 The Liberty Dollar is a contemporary private, for-profit revival of the effort to create a gold and silver hacked currency. Others have suggested hacking in a basket of commodities such as grains, vegetable oils, fossil fuels, and minerals. In the town of Exeter, New Hampshire, the economist Ralph Borsodi and Robert Swann issued a currency that was based on a standard of value using thirty different commodities in an index similar to the Dow Jones Average. It was called the Constant because, unlike the national currency, it would hold its value over time. Read Ralph Borsodi’s “Inflation and The Coming Keynesian Catastrophe: The Story of the Exeter Experiments With Constants” to learn more about the “Constant”. Our earliest experience of barter is the simple exchange of goods or services between two people. However there is a thriving international world of commercial barter exchanges. These systems can involve complex multiple trades. While most of these systems denominate trades in US dollars, some are introducing their own measure of exchange functioning much like a currency. In 1934, Basel, Switzerland became headquarters to a highly successful Swiss business to business barter exchange system known as “WIR,” (German for “We”). Consumers are excluded from participation. Trades are denominated in WIR and businesses can “bank” credits for future transaction. Members are given discount incentives for trading within the system. System administrators are authorized to extend credit (make loans in WIR) to businesses meeting the system’s economic criteria. 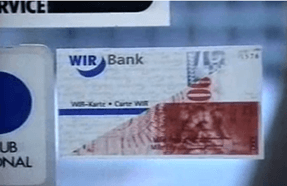 The WIR network is credited with stabilizing the Swiss economy. To learn more about WIR, read the WIR Report by Erick S. Hansch, “60 Years of the WIR Economic Circle Cooperative” translated by Thomas Greco, or watch this video. Other barter groups rely on inventories of excess capacity, offering these inventories in trade at discounts to members. Some commercial barter groups are considering ways to expand their trade to include consumers, thereby functioning like a currency within a defined trading arena. The Internet and other new technologies such as “smart cards” have opened the possibility of trading without use or traditional forms or money. Many inventive individuals are suggesting ways or linking these electronic cards, which are primarily tools to facilitate consumer credit, to businesses with defined missions, such as merchants of green products. 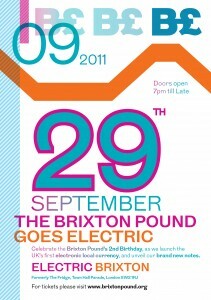 Thursday 29th September 2011 was the launch of the UK’s first electronic local currency, allowing customers to pay by text or on-line for goods in Brixton businesses who accept the B£ e-currency. The Brixton Pound (B£) is a complementary currency, designed to support Brixton businesses and encourage local trade and production. The variety of local currency programs, as outlined above, involve three very different kinds or money. One is consumer credit that facilitates the ability or individuals to purchase needed goods and services. The second is gift money recording our generosity to others. The gift economy builds very real links in a community, strengthening the social and cultural fabric and contributing to the quality of life, but does not directly enter into the creation and exchange of goods and services. The third kind of money is what is commonly known as investment capital. This is money needed for business start-ups and expansion, capital tor the means of production as distinct from monthly operating costs. When Jane Jacobs, the renowned regional planner, portrayed regional currencies as an elegant tool for creation of import-replacing businesses, she had this third kind of money in mind. In the future all three forms of money will be essential to an overall strategy for building healthy local economies. What should we expect from the local currency movement in the near term? (1) Certainly new motivation in consumer-credit systems—supporting “Buy Local First” programs, and providing incentives tor consumers to come back to the storefronts on their Main Streets. (2) Greater cooperation between the highly popular Time Dollar systems and the consumer credit systems in which administrative capabilities are shared, outreach in the local community is shared, and technology is shared. (3) At the same time it will be essential to apply our collective creativity to the problem of how communities can issue local currencies in the form of no-interest loans to finance businesses producing goods now imported from afar.